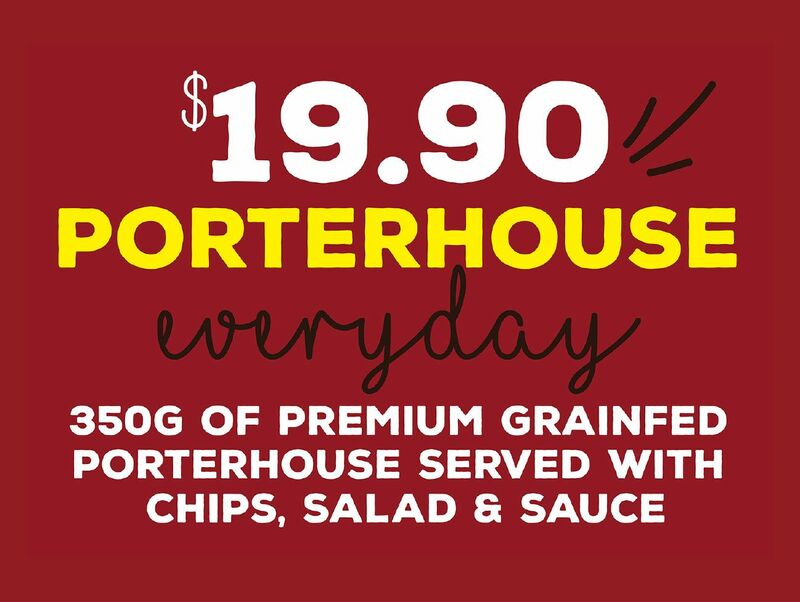 Nothing quite compares to the mouth-watering sensation of a tender 350gram grain-fed Porterhouse steak cooked to perfection or knowing that this juicy rump is served with hot chips, fresh salad and sauce for only $19.90. At the RedBrick Hotel we understand the importance of sourcing produce locally as a family-owned Australian business. We pride ourselves on our steak, as this full flavoured beef is carefully selected for breeding quality, fat and meat colour. Quality steak is key to achieving fantastic flavour and freshness for you to enjoy! Available during lunch and dinner service every day, this special will have you hard-pressed to pick anything else. If your stomach is already grumbling, make sure to book a table by phoning (07) 3844 3236.